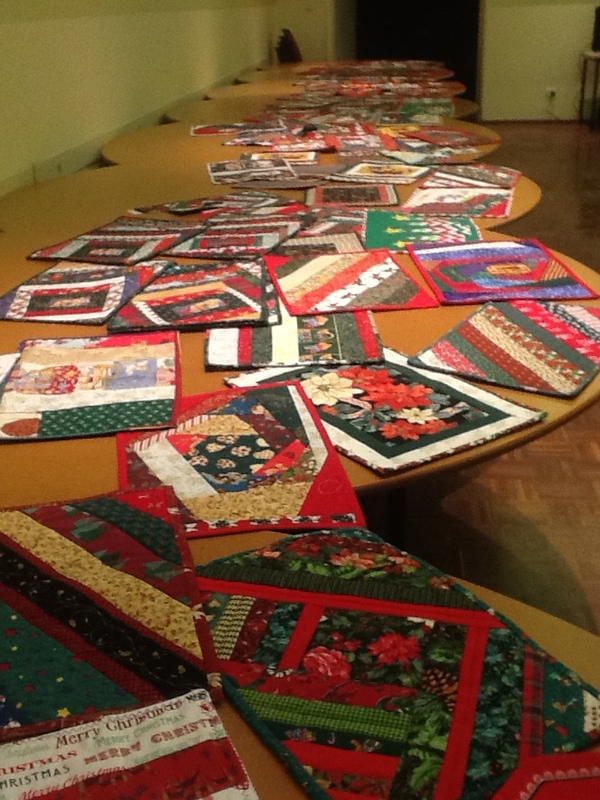 This array of Christmas placemats have been made by WAQA members and were on display at the October Sewing Night. They will be donated to Perth care homes to brighten up Christmas dinner. The Community Quilts team hope to reach 100 mats so keep them coming! 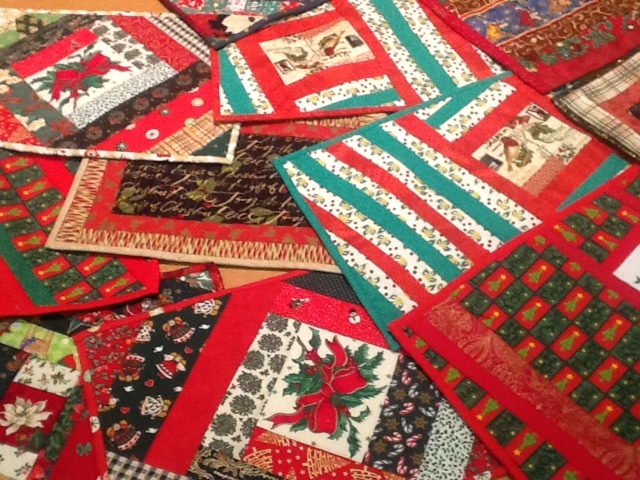 This entry was posted in Sewing Day & Nights and tagged Christmas, Community Quilts. Bookmark the permalink. They all look FANTASTIC! Thank you…..